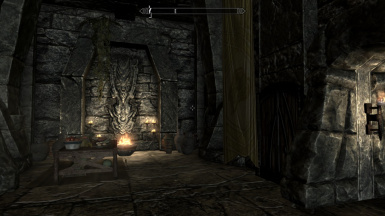 This is the perfect mod for weary adventurers who just don't want to face that darned ice troll one more time, or climb the (not quite) seven thousand steps via Ivarstead. Ever wondered where the Greybeards get their food from? The truth is they're not living off Klimmek's meager bag of supplies... 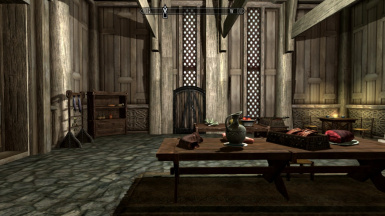 There's a secret door which allows the kitchen staff of Dragonsreach to cater for the old wizards which will become revealed to you with this mod. 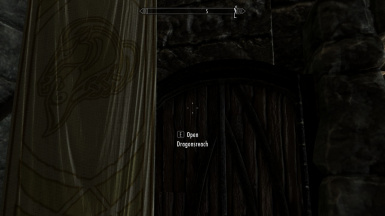 Conveniently for the Dragonborn, this also provides a helpful shortcut to get to High Hrothgar at the start of "The way of the voice" quest. 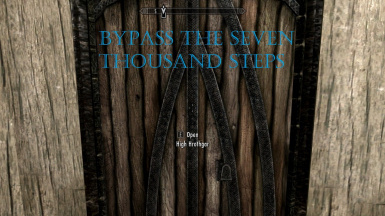 Originally requested by metal33br, Bypass the Seven Thousand steps adds a doorway in Dragonsreach which takes you straight into High Hrothgar to make it quicker to respond to the Graybeards' summons in The Way of the Voice main mission. Hope you find this useful, please check out my other mods, including more "Bypass" routes, and enjoy!